I didn't want to necro a thread that's over a year old, but I have a valid reason for wanting to edit some cookies and wanted to throw my hat into the ring. I'm trying to log into a site using Palemoon. 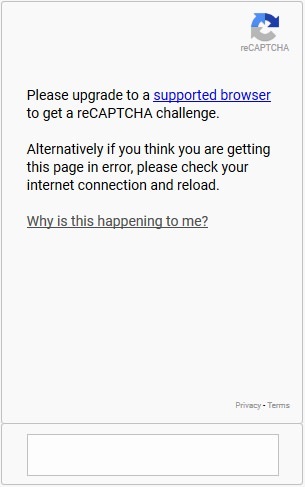 The site in question is trying to deal with massive influxes of bots by using reCAPTCHA to prevent the worst of it, fair enough. Now, I COULD simply bypass the problem by logging in with another browser, grabbing the login cookies from said browser and then go about editing the values into Pale Moon. If, you know, Pale Moon allowed for the editing of cookie values at all. It just seems incredibly silly to disallow something out of... stubbornness? As much as I've loved Pale Moon for the last 6+ years, I don't see why a useful option should be disallowed something simply because you cannot think of a good use for it. I'm not sure what you are complaining about because you can edit everything of stored cookies. Simply double-click the relevant cells in the grid to edit the values. Last edited by Moonchild on 2018-09-17, 14:42, edited 1 time in total.